Today, we are going to talk about a subject that may come out as a little bit “out there” to a few of our readers: purpose and happiness. Do not worry, we are not embarking for a mystical quest kind of discussion—although, those can get quite interesting at times. But we are only going to discuss purpose and how sometimes, we can actually choose happiness. 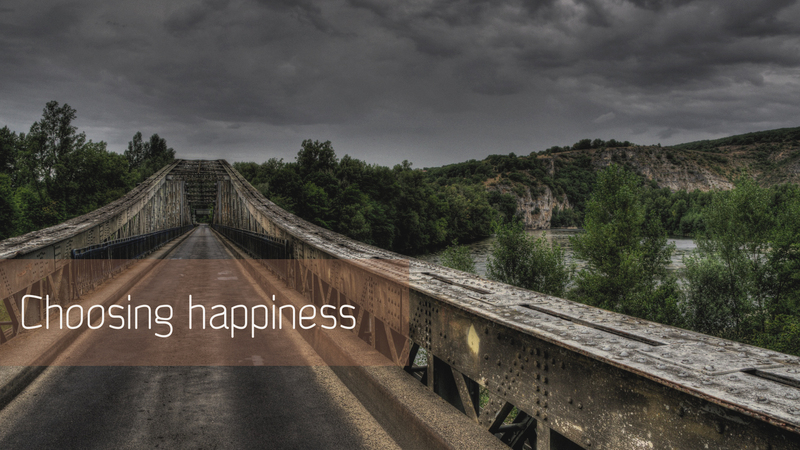 “Choosing happiness” sounds strange. We usually believe that happiness finds us and that we are either lucky or unlucky and there is nothing we can do about it. But that thinking may have us easily fall prey to the “victim mentality”. Let’s say it right now. We do not control everything that surrounds us: the families we are born into, most people who cross our paths, etc. We do not even control the way we feel about the people and events that take place in our lives. However, we are in control of what we decide to do once we have been through the process of feeling and experiencing whatever has happened in our lives; and having purpose will greatly help. Sometimes, bad things happen in our lives; things we cannot stop. We cannot help but be hurt by these things. What we can do something about, however, is the way we go on with our lives, afterwards. That is where having a goal comes in. Purpose helps put things in perspective and aids in looking at things not just from the point of view of the present but also at the bigger picture. Having purpose helps to not lose track of what we truly want in our lives and who we truly are. It helps us make the right choices when it comes to what we choose to do to be happy.